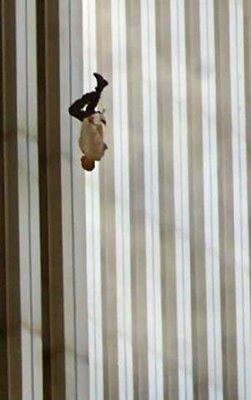 After hitting “publish” on the last post, I realized that it looks somewhat odd to have my entry for today be entirely without reference to 9/11, but let me explain. No disrespect is intended, as I think you’ll see. I’m uncomfortable with big displays of emotion. To me, grief is and should be a private thing. But that’s only how I prefer to deal with things. I don’t think other people are obligated to sweep things under the rug, eat their feelings, keep a stiff upper lip, etc., just because that’s what I generally do. 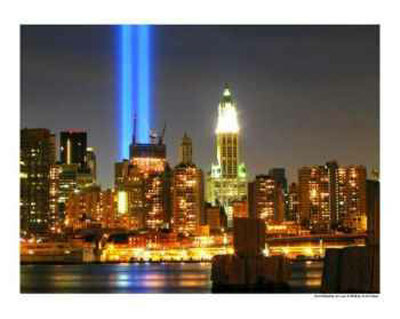 I was very lucky, ten years ago, not to have lost anyone I love in the World Trade Center attacks. A decade later, I have so many more people to love, and have had so much more time to love them in, that I can’t feel much kinship with the 25-year-old I was. She didn’t know about nephews and nieces and the hold they exert on your heart with their innocent-looking, pudgy, often sticky little paws. She didn’t have as much to lose, as I do, that earlier me, but I do. I do. So while I have trouble with commemorative holidays and memorial plaques, please trust me: I have never forgotten. I will never forget. I will remember every day, a little more quietly than a big brass band and a tribute. I will pick one face, and try to hold onto it as much as I can, so that I can remember. Whoever he was, whatever he decided to do, he should have had more privacy than he’s gotten from me and all the actual legitimate media outlets. But that’s not how the world works. That way would be inhuman. We have such a need to tell our stories to each other that it overcomes even the privacy of his last choice. But this is neither here nor there. The point I wanted to make most is that I’m not someone who does well at a big memorial. I laugh at funerals and immediately have to pee any time I enter a church. So I’m not much good for that. But I can hang onto that image of the man falling, and keep it with me as long as I’m alive. Hopefully, my choices will be composed of lower floors and speedy exits, both metaphorically and for reals-for reals, as long as they can possibly stay that way. And finally, and most importantly, if you lost someone that day, or on another day that is your personal national tragedy, I wish you strength and lots of help from your pit crew, and occasional bursts of joy. And I wish you the gift of being left alone to figure out how you want to process your grief.